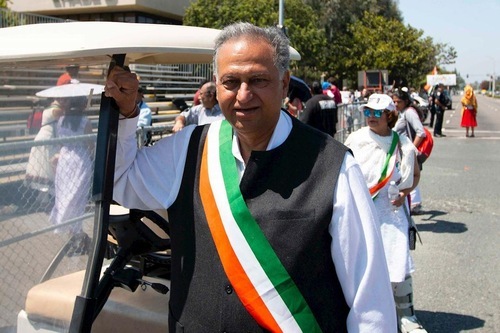 Archana Panta, the organiser of the Festival of Globe India Day, was impressed by the Falun Dafa group in the parade held in Fremont, California last Sunday. The chair of the event, Deepak Chhabra, was also pleased with the Falun Dafa group’s performance and was glad he invited them. The chair of the event, Deepak Chhabra, praised practitioners’ performances. After the parade, practitioners set up a booth, introducing this self-improvement practice to the public, and calling for help to stop the persecution of this group in China, which has gone on for the past 19 years. 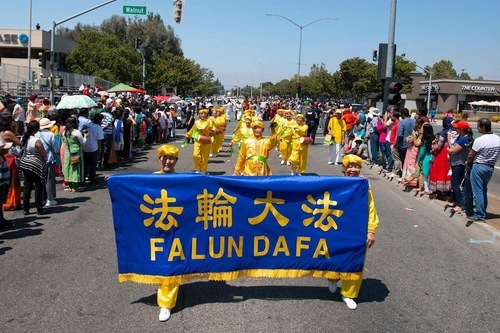 Ms. Sheng from China was glad to learn that a free Falun Dafa workshop will be offered on August 27. 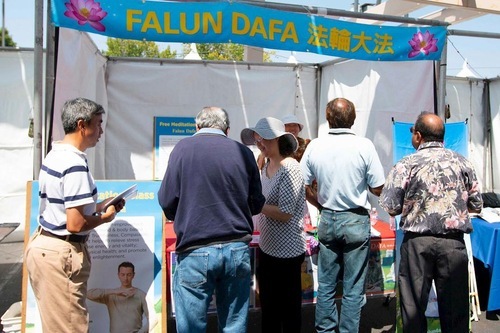 Visitors stop to learn about Falun Dafa. George, from India, is a fan of meditation and was also interested in learning Falun Dafa. Local resident Zara said she believes that the exercises will reduce the stress and anxiety.